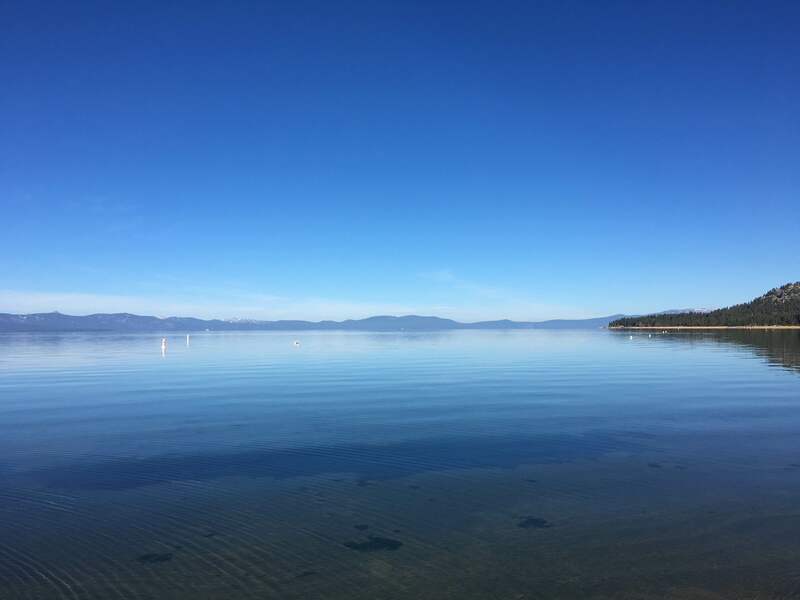 TAHOE CITY, Calif. (CN) – Climate change continues to wreak havoc on Lake Tahoe by impacting its famed clarity, according to a recent report by the Tahoe Environmental Research Center. In collecting data from 2016, scientists charged with studying the famed mountain lake said the shortened winter and the early onset of spring facilitated the growth of several small algal cells that reduced the lake’s clarity during the summer. During the summer months – June through September – clarity depth readings taken at Lake Tahoe showed a depth of 54 feet, a precipitous 17-foot decline from the previous year. Scientists account for the sharp decline by pointing to the increased presence of cyclotella, a small diatom that is capable of scattering light when it collects in large populations. But scientists say the presence of the small algal creatures is due in large part to rising temperatures of Lake Tahoe’s surface waters, a direct result of a changing climate. Average temperature of surface waters at Lake Tahoe were their highest ever in 2016, meaning the lake broke into layers of warm and cold water at the earliest point in recorded history. This favors small algae which have historically struggled to spawn in cooler waters. The news was not all bad for the famed lake, as the winter clarity actually improved year over year, according to the study. Clarity during the winter months – December 2015 through March 2016 – was at its highest since 2012, with a 83.3-foot depth reading. However, part of the reason for the clarity is due to a lack of precipitation falling in the Lake Tahoe Basin in the winter of 2015-16. With less precipitation, runoff into the lake was reduced, which accounted for the leap in clarity. When looked at outside of the seasonal fluctuations, the average clarity reading for last year was 69.2 feet, a 5-foot reduction from the previous year, but about 5 feet better than the lowest clarity reading of 64.1 feet in 1997. Researchers at the Tahoe Environmental Research Center, which is affiliated with the University of California, Davis, have been taking clarity readings since 1968, when they first cast a small white disc into the water and measured the depth at which it could be seen with the naked eye. Concerns about diminishing clarity at the lake led to the formation of the Tahoe Regional Planning Agency in 1969, which has since developed rigorous land-use rules aimed at curtailing development and enhancing the natural environment. In recent years, the agency has implemented several stormwater-management practices designed to filter runoff and keep clarity-impeding particles out of the lake.